I think it looks pretty exciting, so it's really pleasing to know it's planned for Linux. What I especially like is that this isn't another shooter with randomly generated levels, it's hand-crafted. It will include 9 different weapons, each having an alternate fire mode, melee weapons, spells and more. For those, like me, who like things brutal it includes a "sophisticated gore system"—awesome! If you would you purchase it, feel free to throw your support in this linked forum post. I was about to post something similar. I hate that attitude. It's what gave Unity such a bad reputation amongst us in the first place. Not another randomly-generated-bs-simulator? This stinks of Heretic and even Hexen to a degree... I love it! Definitely will keep an eye on this one. Looks amazing and it's something I would definitely buy. I still love Quake after all these years. mmm if its short sure but if not am out find monster closet fps really repetitive after a while but i know its some peoples jam so wishlisted for now. Nice. I hope Amid Evil comes too. Yay! Monsters exploding viscera and strawberry jam everywhere! 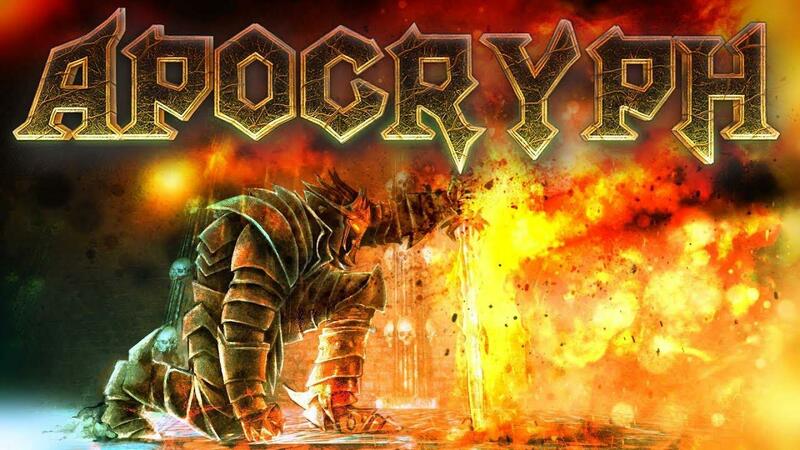 Apocryph looks like a hilarious gore-filled romp through the red remains and ichor covered innards of my enemies. Wishlisted!